HOLLYWOOD, FL – A day after watching one of his draftees clean up at the NHL Awards on Wednesday, Trevor Timmins is ready to pluck a few more future NHLers out of the crowd at the 2015 NHL Entry Draft. Armed with his fewest picks since 2010, when the Canadiens nabbed Jarred Tinordi and Brendan Gallagher among their five total draftees in Los Angeles, Timmins knows he and his scouting staff will have their work cut out for them in Florida. With one selection available to him in each of the first, third, fifth, sixth, and seventh rounds and none in rounds two or four, the Canadiens’ VP of player personnel and director of amateur scouting is hoping some of 2005 fifth-overall pick Carey Price’s Vegas luck carries over into the weekend. After trading his second round pick and a conditional fifth rounder to Edmonton to acquire Jeff Petry at the deadline this March, Habs GM Marc Bergevin may be in the hunt to add a few more spots on the board before the second round kicks off on Friday. While he’s open to the idea of trading his 26th overall selection to bolster his presence in the following rounds, Bergevin won’t be pulling the trigger on any deals until opening night is well underway. With a slew of late round picks-turned NHL stars on his resume, Timmins is no stranger to digging deep to mine draft day gems. 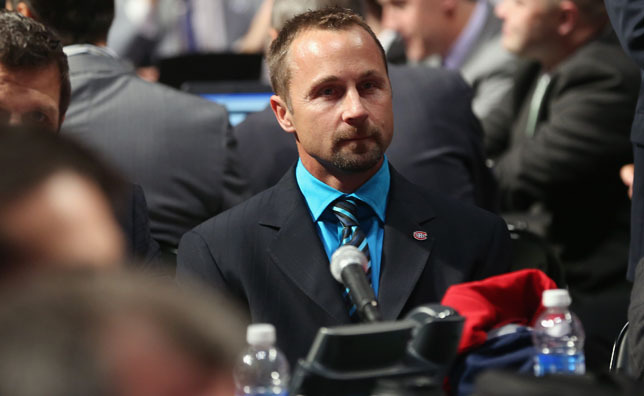 If the Canadiens stand pat with their current selection order, he and his scouting staff will be working to uncover the next Gallagher (147th overall, 2010), Mark Streit (262nd overall, 2004), or Jaroslav Halak (271st overall, 2003) in Sunrise. “There’s some depth to this draft, but we’ll never know until we look back four or five years down the road,” mentioned Timmins, on the eve of helming the Canadiens’ draft table for a 13th year. “If you look at numbers 20 to 50, you may get a player at 45 who’s as good as a player you’d get at 25, four or five years down the road. You always have to have a little luck. We’re hoping for a little luck tomorrow night at the draft.